I'm sure everyone sets goals for themselves in this game, unless you're one of those freaks who just fly by the seat of their pants. So tell us! What are you up to these days? Grinding out Agility to 99 (if you're a masochist)? 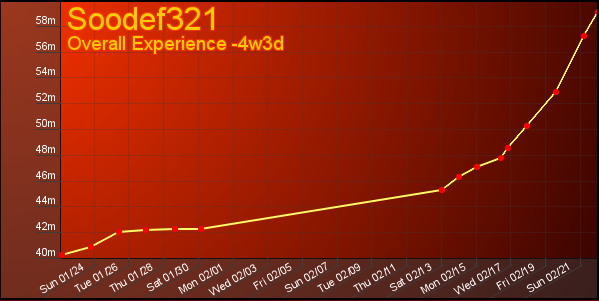 Farming Nex on your road to 2.147B? Short term or long term, I wanna hear it! Okay, I'll start. I'm finishing the 99 Fletching grind, then I plan to Netflix-AFK 99 Mining, followed by dumping my bank into 99 Smithing. RIP cash stack, we shared some great memories. Not quite so masochistic as to grind out 99 agility... Yet. Doing the next best thing: Divination. Trying to primarily grind it out, when that kills me too much I usually spend an hour or two at qbd, getting money for 99 summoning and prayer. Gotta finish my fletching grind sometime soon too, only a couple of levels off but I've not been bankstanding too much recently. Right now I am just working towards 99 slayer while getting max combat stats (hopefully magic first) and charms for summoning. New goal: going to unlock elf city. Probably grind something annoying like Thieving, Agility, or Dungeoneering to 99 before I get back to AFK skills. 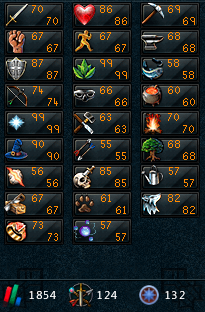 my current runescape goal is to max my 2nd account, and maybe go for comp cape on main account. Omg xzillie was that a clue reward!!? So awesomezillie, happy to hear!! 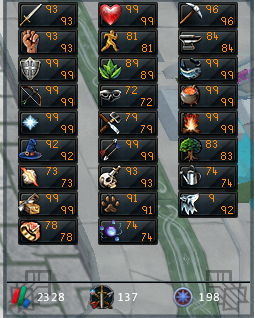 So my most recent goal was to get 90 range and defence, along the way I got 80 slayer and working towards 95. My goals were at 90 range and defence so that I could do QBD without getting destroyed. I am now at a 13 KC which got me this loot. Over the dxp weekend, I will be trying to get 85 herblore. 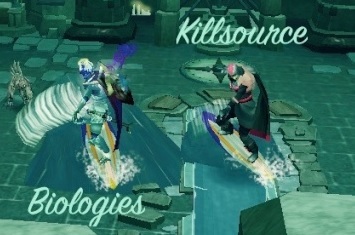 Goodluck to everyone over the dxp weekend! My Goal is to get Blood Dyed Seismic Wand and Orb as well as fully Augmented Torva. Or just A SINGLE ZAMMY PET!!! haha. Subject: Re: What are your Runescape Goals?